First Land Transfer is a joint venture title agency partnership between Title Alliance and Keller Williams Exton, located in Exton PA. With 2013 profits of $ 239,394 through June, their cumulative profits reach $ 3,502,932. Title Alliance, Ltd. is located in Media, PA and has been creating RESPA compliant title joint ventures since 1983 with lenders, mortgage bankers, Realtors, builders and credit unions. 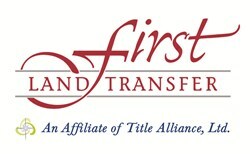 For more information or to find out how a Title Alliance’s partnership or title management skills could benefit you visit them online at http://www.titlealliance.com or contact Lindsay Smith at 800-220-3901 x 165. Written by: Sushil Kumar on August 12, 2013.